DC Comic Co-Publisher Dan DiDio teased a "reexamined" relationship between Superman's Clark Kent persona and Lois Lane in the relaunched DCU earlier this month, leading many to imagine a relationship that either hasn't happened yet or didn't manifest into marriage. Today at The Source, DC confirmed that Superman's Action Comics adventures by Grant Morrison and Rags Morales will reflect a very different continuity for Man of Steel that sees him single, orphaned, flightless and sporting a costume that will evolve from street wear to Kryptonian-influenced armor. What's more, his love Lois Lane will have a new gig -- and a new love interest -- at The Daily Planet. * This Superman is very much an alien, one struggling to adjust to his adopted home. In the series, he must come to terms with both the loss of his home world, as well as the loss of both of his adopted parents. He is more Kal-El from the planet Krypton than Clark Kent from Kansas. He's a loner trying to find his place in the world. * The series' first storyline will explore the origins of Superman's costume, as it evolves from a look that includes jeans and work boots to a new look: a suit of battle armor that pays tribute to his Kryptonian past. * Lois Lane is dating a colleague at the DAILY PLANET (and his name isn't Clark Kent) and she has a new position with the paper. Newsarama began the day by reporting a divorce between Clark Kent and Lois Lane, but the site's article has since been overhauled to clarify that Superman and Lois' marriage merely hasn't happened in the new continuity. 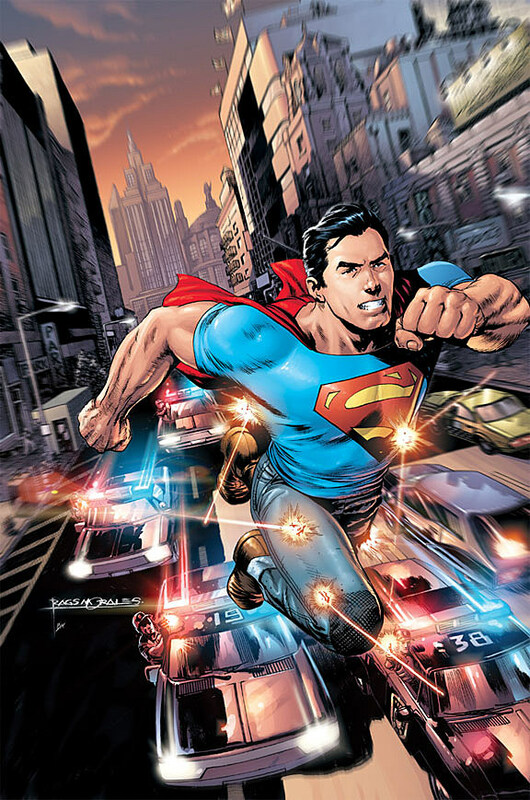 The implications of Superman's new past, present and future as a "younger, brasher and more brooding" hero will be felt through a number of relaunched titles including George Pérez and Jesus Merino's Supeman and Geoff Johns and Jim Lee's Justice League series, where the Man of Steel's powers of flight seem to have picked up.